As one of the goals to me now in the e-curse I am taking, is trying to take off the image of tumblr to my blog by telling you a little bit more about my interpretation of what I share with you. It is time to really share little more about what I like. So the next list is about the 5 blogs I turn the most, like a pillow book. 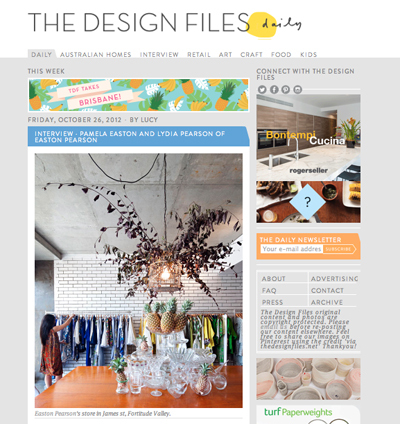 Since I discover the blogging world I started collecting blogs specially about design. When I say collect, trust me, I'm talking about lots of them. They are my little treasure and I'm going to start with those I found since the very beginning and they became the base of my inspiration in all senses. 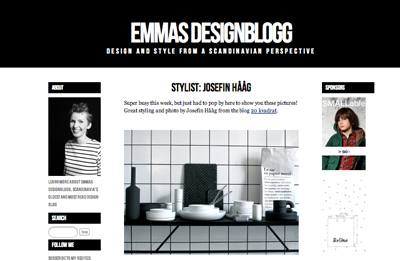 1.- Emma reminds me all the time how much I'am in love with scandinavian design, her blog is mostly about scandinavian interiors, styling and photography with the most contemporary perspective. 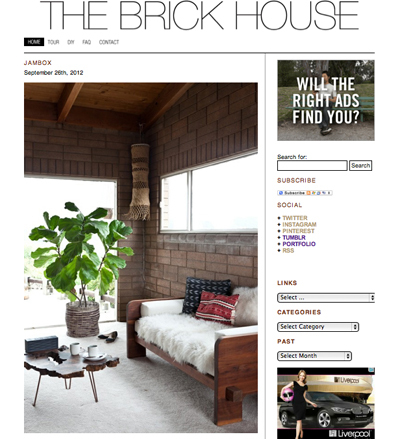 2.- Morgan Satterfield writes the brick house as a document of the remodelation process in her not so new house. I adore her style and all DIY she does and share with us. 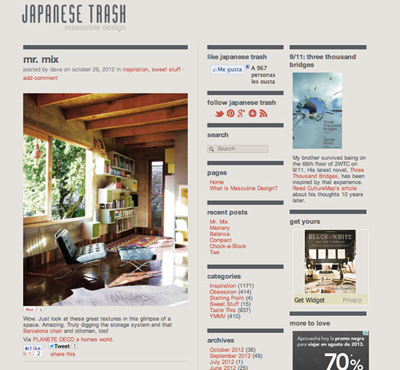 3.- Japanese trash is actually a masculine design blog but I can't help it, sofistication, natural materials, elegant and neutral colors are a constant in this blog, I just love it. 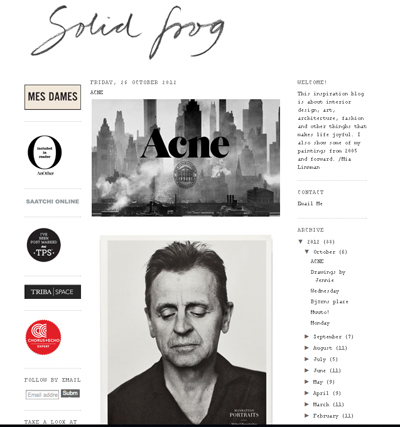 4.- The kind of blog that has a very nice mix of art, interior design, fashion and architecture. Pretty girly and elegant! 5.- The one that is better represented by its name. This is is the place I allways visit to document my self. To me is like a magazine that has exactly all I need. 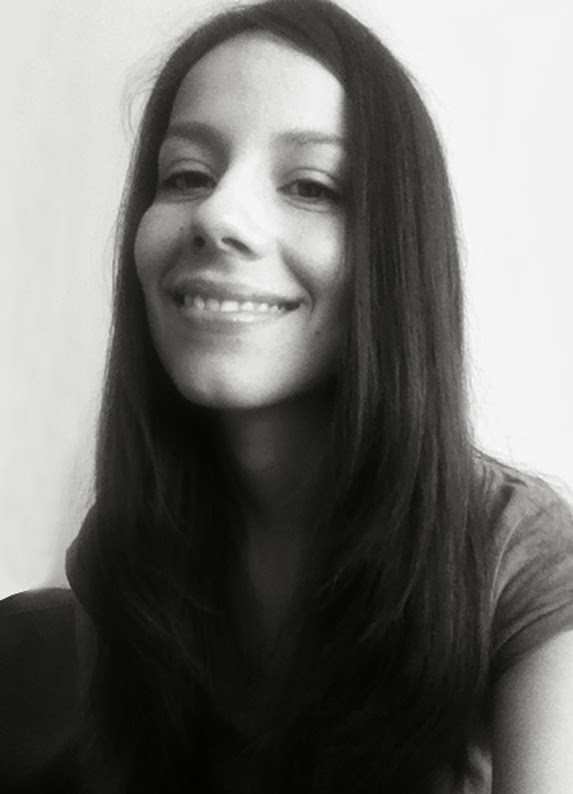 Thanks for the design blogs, I am a hairstylist who wishes she was an architect! I love home design and all things modern, I'm so glad I found your blog so I can have some design inspiration! Found you on BYW. Michele I'm so glad you liked my blog! I hope I can keep giving you inspiration trough the content of this blog.